Rest in peace Ms. Kidder. 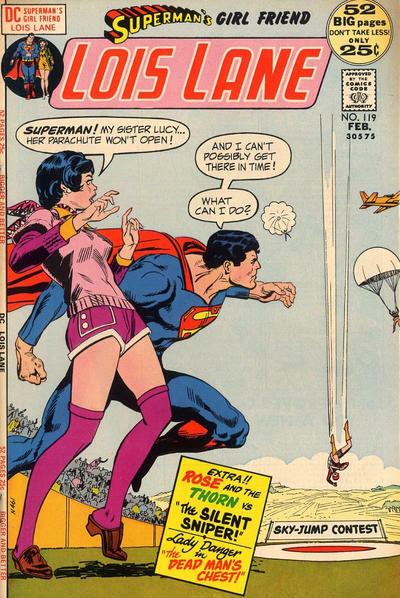 Lois Lane was a darn fine book in the early 70's, very entertaining. It's weird role as an unofficial part of Kirby's Fourth World makes it a prime candidate for collection. 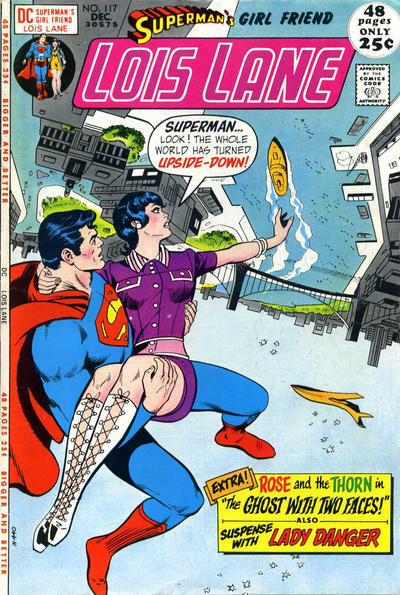 I'd love to see those Fourth World-inspired stories get a trade or two. 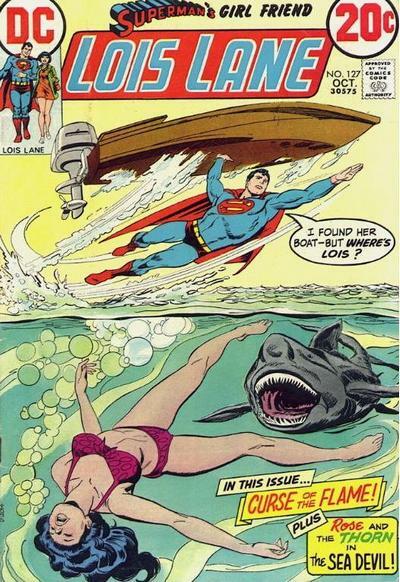 I especially liked issue # 111 with its "Dark Side of the Justice League". 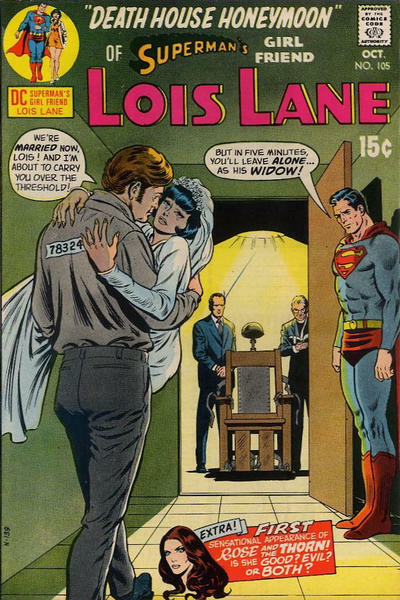 This period of Lois Lane was interesting. Sometimes a little too heavy-handed with its relevance, but a good read nonetheless. I also like the Rose and Thorn backup. 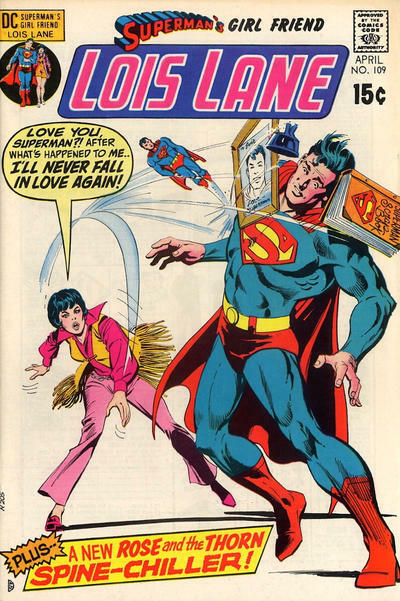 Sad about Margot Kidder. 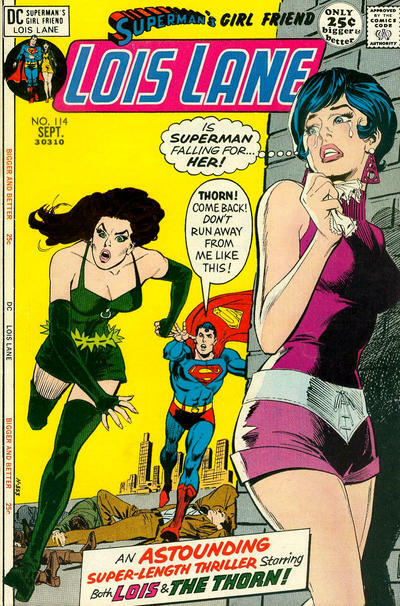 She was the first one to bring sexiness to Lois Lane. A sexiness that found its ultimate expression in Teri Hatcher. 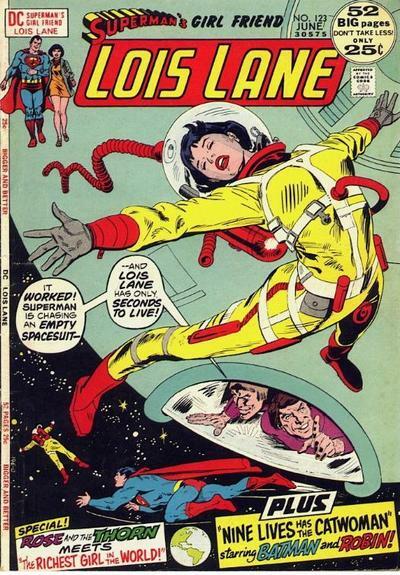 Yeah, Lois Lane has been one of the real surprise discoveries in my DC Bronze Age reading. It's got plenty of goofy bits, but there is a surprising amount of thought and heart in those books, plus some great art. 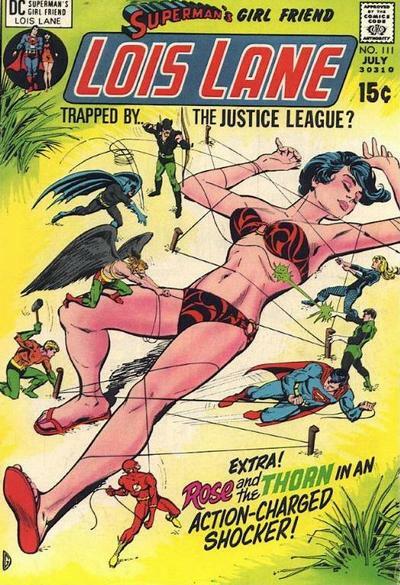 I LOVE that cover with her playing Gulliver to the JLA. The story inside is bonkers, but that's a wonderful image.